EPSON Dye Ink - 95% Cost Saving! This is high quality ink made by a Japanese factory in China. We have tested it on Epson printers ourselves. It prints as good as original Epson ink, however, cost you much less. 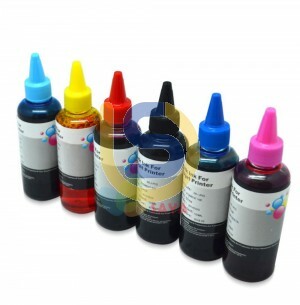 This ink is suitable for all Epson Desktop printers' refillable cartridges and CISS.